Fans buying tickets to the opening match of the ICC Women’s T20 World Cup 2020 at Sydney Showground Stadium will also experience a spectacular opening celebration, produced by world-renowned live entertainment company the Michael Cassel Group. The opening night of the women’s tournament will take place on Friday 21 February 2020, and feature defending champions and hosts Australia playing India in a blockbuster match under lights. Fans can buy tickets to all ICC Women’s T20 World Cup matches, including the opening celebration, from $20 for adults and all kids’ tickets are $5. The Michael Cassel Group have been appointed to produce a spectacular pre-match show befitting a major global event, where fans from across Australia and around the world will come together to experience the biggest women’s sporting event ever held in Australia. Sydney-based Michael Cassel Group’s long list of credits include the first international touring production of the world’s number one musical, Disney’s The Lion King, the Australian premiere production of Harry Potter and the Cursed Child and the upcoming Australian leg of the acclaimed international spectacular, The Royal Edinburgh Military Tattoo. Tickets to the standalone ICC Women’s T20 World Cup 2020, to be played in six Host Cities across Australia, are now on sale to the public. Fans are encouraged to get in early and be part of this once-in-a-generation event, which runs from 21 February – 8 March 2020, culminating in the final at the biggest cricket stadium in the world, the Melbourne Cricket Ground, on 8 March 2020, International Women’s Day. This is an opportunity to set a new world record for attendance at a women’s sporting event. 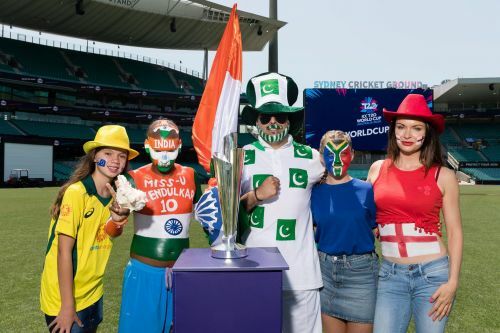 In 2020, fans have the opportunity to experience not just one but two World Cups in Australia, with the ICC Men’s T20 World Cup taking place later in the year, from 18 October – 15 November 2020. ICC T20 World Cup Australia 2020 Local Organising Committee CEO Nick Hockley said: “We are delighted to be working with the Michael Cassel Group and the New South Wales Government to put on a spectacular opening celebration for fans, be they attending at Sydney Showground Stadium or the millions of fans watching around the world. “Appointing a world-renowned partner to deliver the opening celebration will ensure we start the tournament off in an exciting and memorable way and provide fans with an incredible value-for-money experience, with a world-class production immediately followed by a blockbuster opening match between Australia and India. Michael Cassel, Producer and Chief Executive at Michael Cassel Group, said: "I’m delighted Michael Cassel Group has been appointed to lead the opening celebrations for the ICC T20 Women’s World Cup. "Together with renowned producers Ric Birch and Julie Brooks, I look forward to presenting a world-class entertainment experience that encapsulates the incredible excitement and talent that will be on show at this tournament – a momentous occasion in international sport." NSW Minister for Sport, Stuart Ayres said the opening celebration would showcase Sydney and NSW to a global audience. “The opening celebration will be a world-class display of our state’s passion for cricket that brings people of all cultures and generations together,” Mr Ayres said. Further details about the spectacular opening celebration, including talent and timings, will be announced at a later date.